← LOOKING AROUND THE HOUSE FOR THAT “FISHY” ODOR. If you smell that smell, it is already dangerous. A certified electrician or home inspector using an infrared (heat seeking) camera or a laser thermometer can locate any overheating electrical components inside the walls before it gets worse or before your home burns down while your family is asleep. 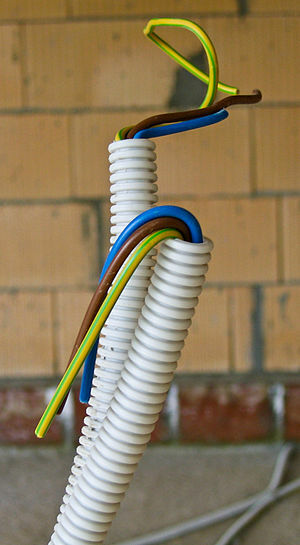 The electrician can remove outlet covers in the area where you smell the smell and inspect the electrical wires inside. Once you have identified the problem to a switch, socket, outlet etc. do not use it again without having an electrician check it because it may have melted enough that any further use will start a fire. The electrician can inspect it to see if it is safe or if you should placed the outlet or fixture before you continue to use it. P.S. One more thought….If you suspect it is coming from a family member there IS a metabolic disorder that causes one to give off that odor. Trimethylaminuria (TMAU), an uncommon genetic disorder that causes a strong body odor that some describe as smelling like rotting fish, feces or garbage is created when the body is not able to break down trimethylamine. This entry was posted in fish smell in house, Fishy odor in house, Fishy smell in house, House smells, Smell in house and tagged fish smell, fishy smell in house, home smells like fish, house stinks like fish. Bookmark the permalink. 1 Response to WHO YOU GONNA CALL IF YOU SMELL A FISHY SMELL? Great information on fish odor coming from overheating electrical components. It is good to finally see others talking about this very important topic. Lives will be saved once people know that this is sometimes an indication of issues that could lead to electrical fires. I wrote info on this a few years ago. Once every other year or so someone in some other part of the country calls me to discuss this issue going on in their home. I have info on this same topic on my website so please check it out and call an electrician who has an IR cameral.